The reason for the countrywide protests that have spread throughout Turkey over the last months lies in the fundamentally changed view of the state that a part of the Turkish youth has cultivated. Even though the square and the adjacent Gezi Park are finally cleared by now and protest has largely died down, the change it produced will be notable and will have long-term effects. Over ten years ago, when Recep T. Erdoğan and his AKP gained a majority in parliament and started their comprehensive transformation program, nobody could have foreseen the enormous developments that lay ahead. The political and economical fields have witnessed impressive change – especially on social matters –, largely shaped by the advent of new media. Therefore, the young people of today have a much more pragmatic stance towards the authorities than was the case during the last decades. The Internet, growing affluence and the accompanying enlarged horizon have enabled the youth to recognize and denounce deficiencies. Many of these very young protagonists don’t want their state to be an all-powerful Leviathan that decides over the fate of its citizens, but a service provider in Western European tradition. For an old-school politician like Mr Erdoğan, who seems to have learned the lessons of heavy-handed government from his predecessors, civic participation and giving citizens a say have always been curiosities rather than crucial parts of democracy. That’s where his reliance on the security services, who were supposed to quell the protests with brutal force, stems from. Only his sheer helplessness explains why Mr Erdoğan wrongly labeled the protesters as “terrorists” and “plunderers,” and why Twitter suddenly became a “threat” to him. 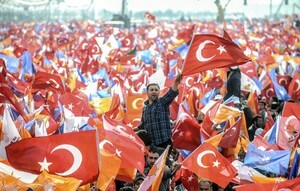 The government’s intransigence caused the demonstrations to quickly spread to all large cities, letting protesters even take hold of religious AKP strongholds like Konya and Kayseri. At the beginning of June, at the height of the protest, there were demonstrations in over sixty Turkish cities. The result: about 4,000 protesters injured and five dead, and more than 100 journalists injured or arrested. After only few days, the goal of this civic march was no longer to save a little park in the heart of Istanbul, but to express the wishes and needs of the “other 50 percent”: the part of the population that has never voted for the AKP and that sees its freedoms increasingly being infringed upon by the government. In spite of all its merits, like the economic boom and political stability, the AKP government has its dark sides. The reconciliation with the neighboring countries has come to a halt and Erdoğan is straining the relationships with many important partners. In the last years especially, the free expression of thought has been made more difficult and newspapers, TV stations, journalists or authors critical of the government are subjected to financial and other penalties. By now, more journalists are incarcerated in Turkey than in China. Furthermore, the AKP tries to impose a religious lifestyle on the population. Unveiled women have to bear the impertinences of AKP members (e.g. one party member suggested that unveiled women were like a “house without curtains”; “for sale or for rent.”) Alcohol is ever more difficult and expensive to get. 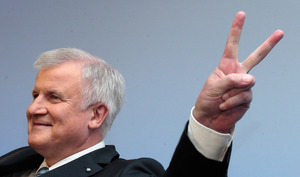 The prime minister has an exact idea of how many children women should have (three). But these restrictions are only the most obvious symptoms of a creeping concentration of power that has been going on for several years. The greatest strength of the protest movement, its diversity, will unfortunately become its greatest weakness in the future. The protesters come from many backgrounds: ethnic and religious minorities, homosexuals, opposition parties, feminists, students, and labor unions are, among others, all part of the movement. The most important question will be whether the movement survives in one form or another until the next parliamentary elections. So far, the biggest opposition party – the CHP – seems unable to use the protests to its advantage. The protesters have retreated from Taksim Square and are organizing civic forums in other parks. Whether a new party will develop out of this remains to be seen. The success of the movement will depend on its ability to find support among the rural population. What will be the great change then? The AKP will hopefully adopt a more careful style of government. Erdoğan has heard the warning bells and police actions will be somewhat less heavy-handed in the future. Even a good deal of AKP members were appalled at the brutality displayed by the police forces. The government could even profit from the protests if it heeds the calls for more civic participation. That alone would represent an undeniable improvement in comparison to the current situation. The AKP got itself into a good position in the resumed European Union accession negotiations. 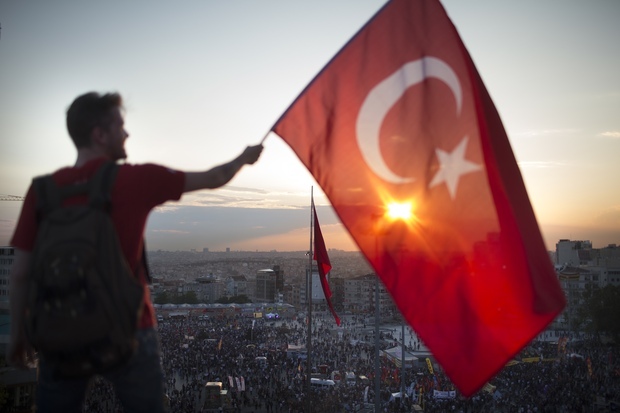 The EU should now use this opportunity to call for more democratic reforms in Turkey. Read more in this debate: Ahmet Suerdem, Buket Bora, Jonathan Wiltshire.